Do you find yourself running from one appointment to another and feel you have no time for yourself? It`s not always easy to balance work, family, a social life, travel- especially when everything seems to be running faster and faster. It`s time to do something good for yourself! Recently I have met a number of people who have inspired me to make a change. Small changes that will make a big impact. I want to fit into my favourite jeans again! I want to feel revitalised this spring! 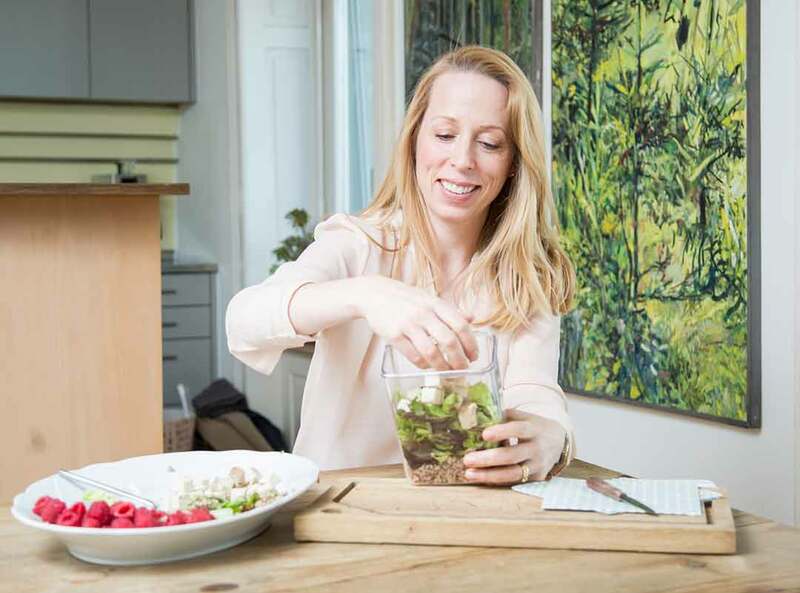 A few years ago I met Mirkka Schaller, a nutritionist in Zürich. Mirkka has studied and worked in Finland, the Netherlands and New York. I love her energy and enthusiasm. So I asked her if she could share some recipes and tips with me and you. We started our `cooking session` with a green smoothie. A few months ago I met Mirkka and asked her how she managed to have such great skin and so much energy. 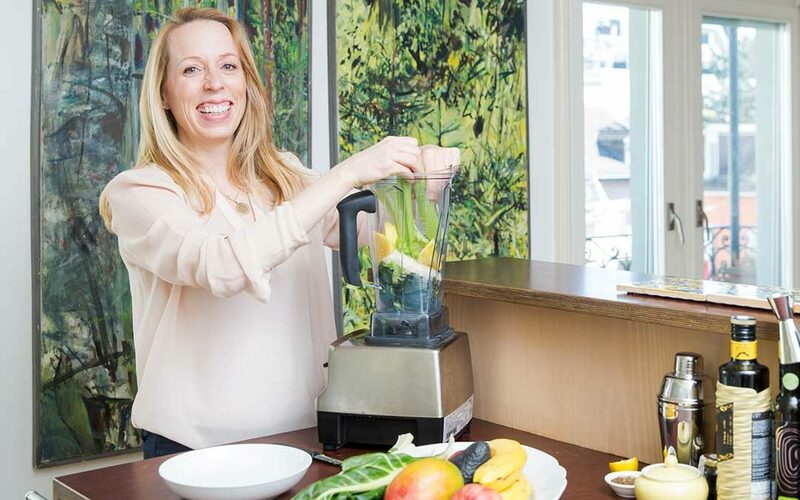 One of her top tips was to start the day with a green smoothie, she gave me this link where you can find allot of ideas and recipes www.simplegreensmoothies.com. 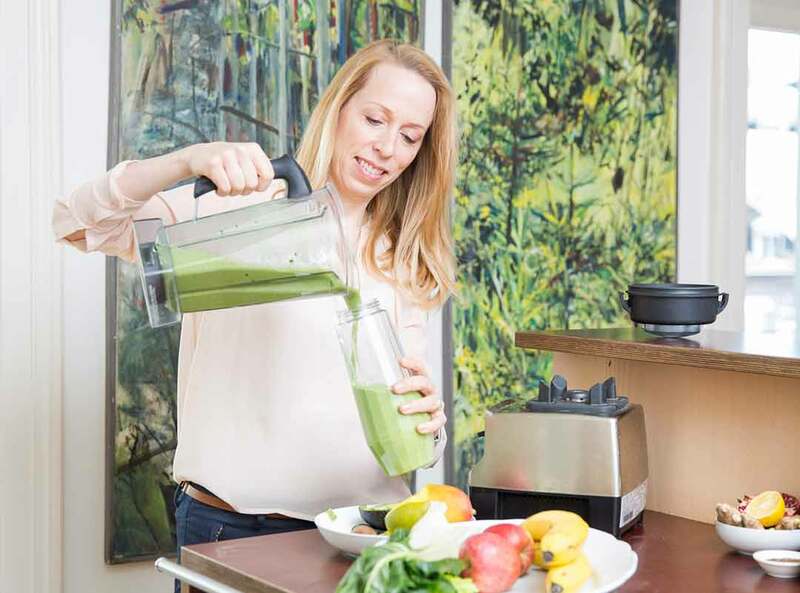 Mirkka`s nutrition tip: Fill your smoothie with greens to get the most benefits to your body, try having 1/3 or fruits or less, so that it doesn’t kick your blood sugar too high which causes you to go on a rollercoaster ride with energy and hunger. Put in a closed jar and let it sit over night, before eating add a fresh berry topping. Mirkka`s nutrition tip: Chia seeds are the new super food. They contain fibre, antioxidants and omega 3 fatty acids, which we don’t seem to get enough of. 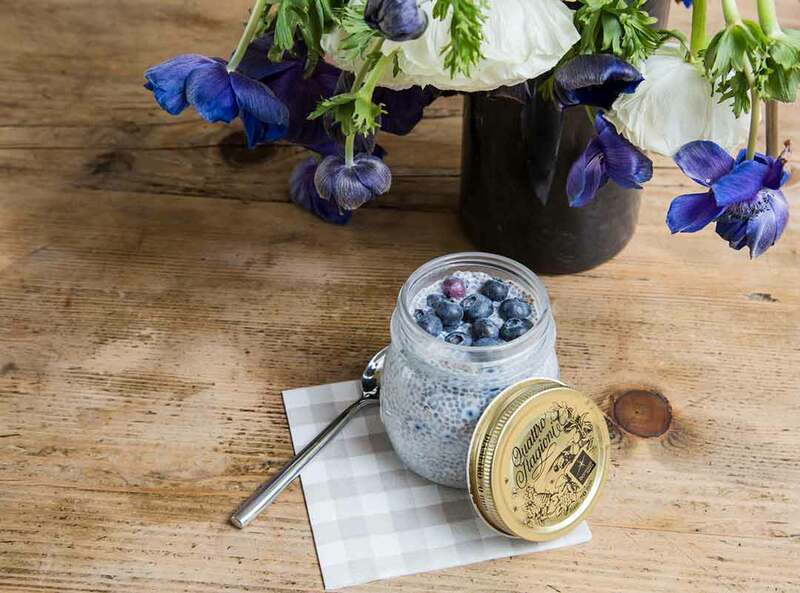 The gelling effect of chia seeds will keep you full for longer. Look for non-sweetened nutmilk. 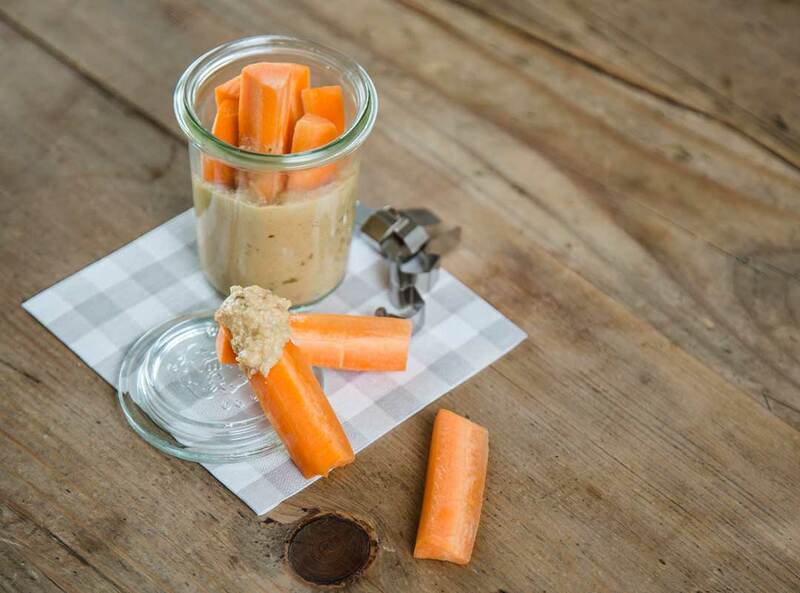 Fill a third of the container with hummus and the rest with freshly washed and diced carrots. Add some lemon juice for fresh flavour- quick, easy and very tasty! Mirkka`s nutrition tip: Hummus, which is made out of chickpeas, tahini and olive oil contains several essential fatty acids you need to keep your body healthy. Chickpeas also contain fibre and protein; which will fill you up. Something simple and easy to have with you where ever you go. Mirkka`s nutrition tip: “An apple a day keeps the doctor away“ has truth to it; apples contain plenty of antioxidants and fibre, both supporting your immune system. 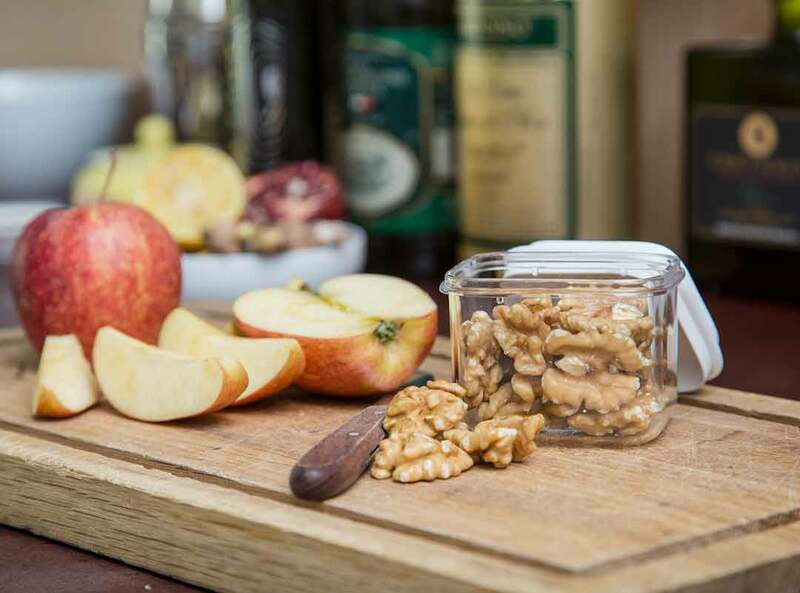 Walnuts have plenty of phytonutrients and vitamins that keep you healthy and your skin radiant!